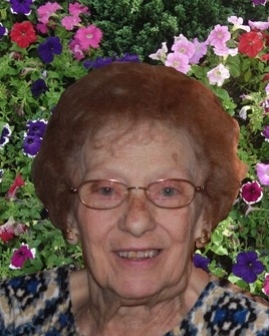 Gallo, Theresa R. (nee Fantini), March 24, 2019, age 93. Beloved wife of the late John. Loving mother of Linda (Peter) Paganes, Laurie (John) Arpino, Larry (Karen) Gallo, Len (Lorie) Gallo, Proud Mimi to Chris (Erin) Scalise, Anthony (Claudina) Scalise, Angela (Mike) Butler, Andrea (Mark) Cacko, James (Christina) Bentley, Brianna Bentley, Anthony, Alaina and Alexa Gallo, John, Emma and Jordan Gallo. Also 11 great grandchildren. Theresa was a generous, kind-hearted, caring matriarch of her family of 30 plus. She lived a selfless life, always thinking of others first. She enjoyed family time, crafts, social hour, Wii Bowling and board games (she was not a good loser). She was honored to be appointed an ambassador at her senior apartment. Theresa was a special soul who delighted all that met her. Her passing leaves us brokenhearted but with many wonderful memories and she will be extremely missed by friends and family. Visitation at the Sterling Heights Chapel of Bagnasco & Calcaterra Funeral Home, 13650 East Fifteen Mile Road, Wednesday, March 27, 2019 from 3:00 pm until 9:00 pm with prayers at 7:00 pm. Funeral Thursday, March 28, 2019 at St. Michael’s Catholic Church, 40501 Hayes Road, Sterling Heights. Instate 9:00 am until time of mass at 9:30 am. Interment at Resurrection Cemetery. Memorial contributions are appreciated to The Capuchins.